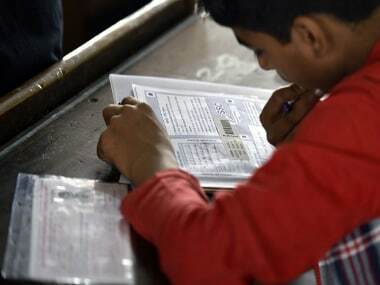 Due to the lack of an adequate number of eligible candidates, the South Delhi Municipal Corporation has failed to meet its judicial directive to fill up the posts of special educators in Municipal Corporation of Delhi (MCD) schools in the National Capital, the civic body recently admitted in an affidavit in the Delhi High Court. The civic body filed this affidavit as a reply to a contempt petition by Social Jurist, a lawyers group, alleging its non compliance with an earlier order by the same court to fill up the posts of special educators. 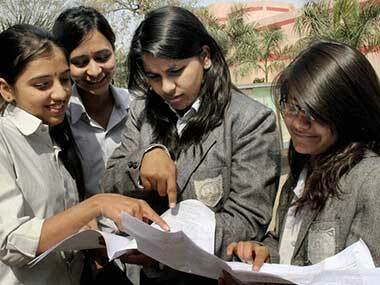 According to the affidavit accessed by Firstpost, despite two attempts to fill up more than 1,600 posts of special educators the Delhi Subordinate Services Selection Board (DSSSB) has not been able to find the required number of eligible candidates. The DSSSB is responsible for selection of special educators for schools run by both the Delhi government and the MCD. The affidavit says that the unified MCD had sent a letter to DSSSB to fill up 1,610 posts of special educators in the month of January 2012. But later on, the DSSSB let the civic body know that a sufficient number of applications had not been received by the DSSSB to fill up the posts and recommended only 40 names for appointment. Later still, another advertisement was issued to fill 1,695 vacancies for special educators in 2014. But this time, only 90 names were recommended by the DSSSB for appointment. The DSSSB has also let the SDMC know that very few applications have been received against the vacancies. The lack of special educators in MCD schools has led to serious difficulties in imparting education. A teacher on condition of anonymity told Firstpost that students who need special education are to be identified and be provided separate education at an early stage. “But due to a lack of special educators, many schools under the MCD fail to identify them and take proper care of them. This is one of the reasons why many students who pass out of these schools often fail to demonstrate adequate reading and writing skills,” said the teacher. He further said that the Delhi High Court ordered the Delhi government to appoint at least two special educator in every school in the year 2009. “The government’s inability to meet this criteria is a painful failure,” he added. He further added that some of them join this profession only after they fail to get job anywhere else. “By then, they cross the maximum age limit set by the DSSB to be appointed as a special educator in MCD schools in Delhi,” he contended. Moreover, some candidates fail to meet other eligibilty criteria set by DSSB, such as qualifying the Teachers Education Test. On account of this difficulty in filling these posts, recently the Delhi government has began appointing special educators as guest teachers by relaxing these norms. Agarwal suggests that SDMC should also follow suit to fill these posts.